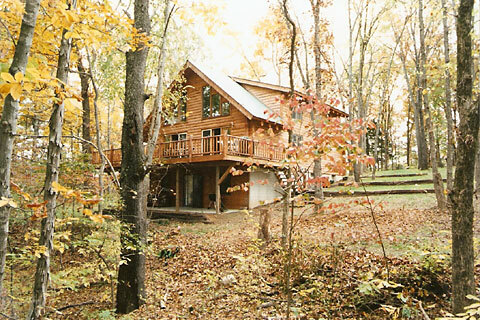 Gather up your best of friends or relatives and enjoy your own private vacation in your own spacious - beautiful - fully furnished 3200 square foot log home tucked away in the trees of the Ozarks. You will be near the shores of Lake Taneycomo (Rated among the top 4 Trout lakes in the nation!) and only minutes away from all of Branson, Missouri's great shows and attractions. for availability or other information. Log Haven Lodge is not handicap accessible. E-mail Kirk Coover for more info.